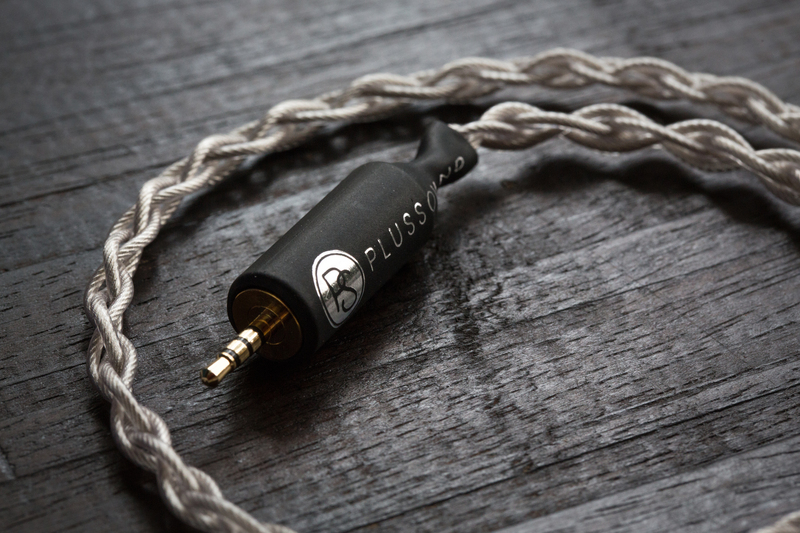 The only other PlusSound cable I’ve ever carried with me is my two-year-old Exo Tri-Metal – a 4-wire cable comprised of copper, silver and gold. This was long before Christian developed his new PS insulation, and that definitely shows. 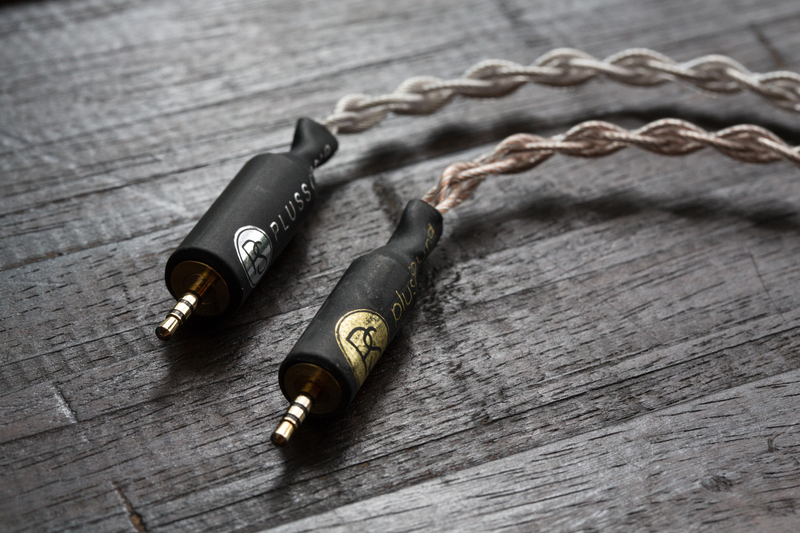 Although the Tri-Metal is still a decently ergonomic cable, it simply can’t compete with the Silver + Gold’s softness, suppleness and weight. Visuals also benefit from the upgrade, while the Tri-Metal is beginning to show cloudiness from age. PS Insulation has made the Silver + Gold a touch thicker, but it’s at absolutely no consequence. The PlusSound branding on the latter has worn out significantly as well, but only time will tell whether or not the same will happen to the Silver + Gold. Even on looks and feel alone, the Silver + Gold is a vast improvement over its aesthetic predecessor. The Exo Silver + Gold serves as a sonic foil to the Tri-Metal. Both cables maintain excellent top-to-bottom balance, yet they each have traits that significantly set them apart. The Tri-Metal is a warmer shade of neutral, while the Silver + Gold maintains as much cleanliness as smoothness allows. And, to this end, the latter is the more exciting cable – more dynamic and aggressive in its approach. A large majority of it has to do with differences in soundstage depth. Seemingly, the Tri-Metal is the winner here, due to its calmer overall midrange. However – because of okay treble extension – this lack of presence soon morphs into fatigue; vocals begin to sound recessed as a result. Despite its upper-midrange tilt, the Silver + Gold excels in instrumental energy – serving a more reasonable amount of body to complement its deft articulation. Pair that with great organisation, and you have yourself a better foundation for the overall presentation. The bass is a significant contributor towards the Tri-Metal’s warmer tilt. 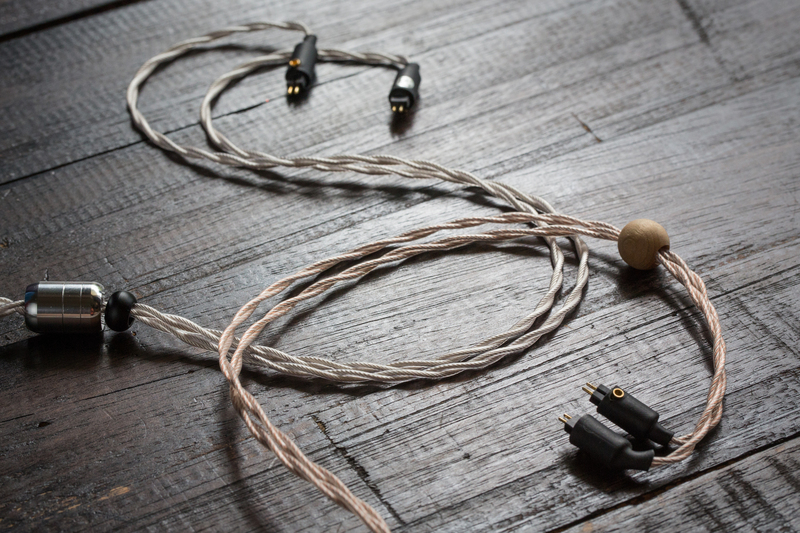 There’s a clear emphasis on the mid-bass that gives the cable a slight bloom. It’s a richness that permeates the soundstage with a euphonic warmth, improving musicality and cohesion between notes. However, due to lacklustre extension, this bloom interferes with bass definition. By comparison, the Silver + Gold displays greater technical finesse. Low-end notes come through with strong outlines, palpable layering and commendable resolution. The upper-bass focus does impart a slightly brighter tone, but – considering the improvements in transparency – it’s a welcome trade. The Silver + Gold is all about cleanliness, precision and punch, while the Tri-Metal has its heart set on organicity and warmth. This trend continues into the midrange, where the latter is more linear between the lower and upper registers. The Silver + Gold – again – is punchier here, with a slight disadvantage in overall tone. But, its sheer transparency is head and shoulders above its little sibling. The treble is truly where the Silver + Gold cleans house. Open, airy, articulate and smooth, it has the hallmarks of a technically impeccable top-end. By comparison, the Tri-Metal has a more linear upper-treble, but its largest misstep is extension. Unfortunately, where the Silver + Gold shines brightest, the Tri-Metal lacks sheer reach in order to pull its entire signature together. Although its aim at a natural tone is admirable, it suffers from a bloomy low-end and okay stage organisation as a result of its technical shortcomings. It’s certainly not bad by any stretch of the imagination, but the Silver + Gold is the clear victor here. The new Exo variant boasts a pitch-black background – creating gorgeous contrasts against transients – superior precision and better versatility. I struggle to make sense of the Tri-Metal with darker-sounding IEMs, while it performs brilliantly with brighter transducers. The Silver + Gold will maintain technical finesse regardless of its pairing, and will never serve as a bottleneck to anything it’s attached too. The PlusSound Exo Silver + Gold is a shining example of how fun should translate in the aural realm. Boasting excellent balance between dynamic energy and vocal weight, it truly is style and substance. Through crafty tuning and sheer wit, the company has created a cable that has its cake and eats it too. The Exo takes the qualities of a clarity-focused, articulative and impactful presentation, and refines it with finesse, elegance and grace. Bass remains beautifully controlled despite its punch, instruments carry equal servings of cleanliness and weight, and the treble glistens without a brittle note in sight. Besides its neutral-bright tonal balance, there’s not much I can fault the product for. With the Exo Silver + Gold, PlusSound have once again proven themselves as a force to be reckoned with. If this is the kind of quality we can expect from them in the future, then 2018 is shaping up to be one heck of a calendar year. Would you say this cable pairs well with Earsonics SEM9. I am looking to mainly to add more body to its vocals which I find somewhat quite in older classic rock recordings. If you wanna add body to vocals, the Silver + Gold isn’t what I’d go for. PlusSound’s Tri-Copper would probably perform better in that regard. From what I’ve heard, it has a warm, full sound without sacrificing detail. 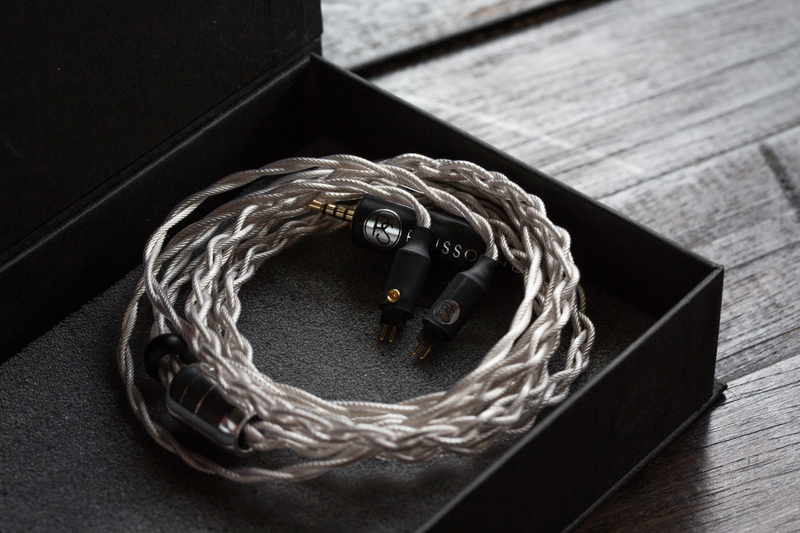 Alternatively, you could also opt for Effect Audio’s Thor Silver II, which is a thicker-sounding silver cable that adds liveliness and body to the midrange. Hi Deezel, thanks for the great review! Have you tried the Plussound with CA Andromeda? I’m looking for a cable to add a bit of air and sparkle. I recently got the ALO Pure Silver Litz and I wonder if the Exo Silver + Gold would pair better with andromeda. ‘So sorry for my extremely late reply. I’d say air and sparkle are what the Silver + Gold delivers, so it’d definitely be a good bet. I’ll have the flagship Exo Tri-Silver with me soon, so I’ll be able to make that comparison as well. Thanks for getting back so quickly, Dezeel. Good to hear that the F3 and plussound plays nice. Coming from a legacy of the likes of VC1000 and other twfk-based iems, light bass is never an issue for me. Speed, clarity and separation all day long. How did the F3 sound on the No.5? I would imagine it’s some kind of timbre-rescuer. Thanks for the heads up on Pinky’s upcoming review. I’m not in a rush. After all, I think I’m still three weeks out from the F3. Pity I won’t be able to test the F3 out with different cables at the upcoming canjam though, lest Piotr performs some kind of miracle. I haven’t heard the FIBAE 3 with the No. 5 yet, but I will when I head over to Singapore next week. Please do remind me if you’re still interested. 😀 If you’ll be attending CanJam SG, I can lend you my FIBAE 3 to force-fit. Just let me know via Head-Fi or something where I’m usually more responsive. Great review. Really enjoy your writing. I have a Customart Fibae 3 incoming and have been thinking about purchasing a cable for it. I am looking at the Acoustune ARC02, Plussound Silver + Gold X-series and the PWaudio No.5. The silver+gold sounds like it runs parallel to the Fibae 3 and I’m not sure if that’s a good thing (e.g. accentuating the strengths and weaknesses). I’m currently listening to the FIBAE 3 with the SIlver + Gold and it’s actually a better pairing than I anticipated. Energy and dynamics excel brilliantly, and the Silver + Gold’s mindful tuning avoids any kind of artificial brightness – it’s a refined and elegant sense of clarity that’s never brittle in any way. My only gripe with the combo is the calmer bass. The Silver + Gold makes the upper-midrange the star of the show, and the F3’s excellent sub-bass sounds slightly underwhelming as a result. I think the Silver + Gold would work best with something like the FIBAE 2, though it’s pairing with the F3 – again – fares well too.